New York County Commercial Division Justice Andrea Masley's June 29, 2018 opinion in Haque v. Sound Point Capital Management LP is certainly not run-of-the-mill; she carefully weighed Sound Point Capital's business interest in protecting what, at least at this initial stage of the litigation, appears to be legitimately proprietary information against Haque's interest in pursuing what is presumably a better job for him with a competing firm, and then crafted a novel, Solomonic solution that removes much of the sting to Haque from the TRO (legal shorthand for "Temporary Restraining Order"). "How did she manage that?" you ask. By paying close attention to the storyline. Based on the papers filed thus far (it's only the beginning of the case, and virtually no discovery has taken place), it appears that Haque had been working for Sound Point, a private asset management firm, since 2012, and at the time of his resgination in May, 2018, he was a "key" person with regard to Sound Point's collateralized loan obligation products ("CLOs"). "Prior to your termination of your Sound Point Services, and for a period of three (3) months thereafter, you will not, directly or indirectly (whether as an officer, director, owner, partner, consultant, employee) or otherwise engage in, assist or have an interest in, or enter the employment of or act as an agent, advisor or consultant for, any person or entity which is engaged in, or will be engaged in, the investment management business." Haque was aggressive; he resigned on May 18, taking a position with Sound Point's competitor, Golden Tree Asset Management LP as a portfolio manager on June 4, and then proactively sued, asking for the Court to render unenforceable as a matter of law his non-compete. Predictably, Sound Point countersued, seeking a TRO and asking the Court to hold Haque to his non-compete, and bar him from working for his new employer. 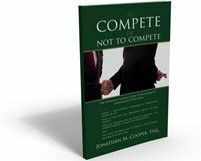 The Court was faced with a vexing problem; on the one hand (as acknowledged in the Court's opinion), 90 days, as a general rule, is not a lengthy time period to keep an employee sidelined, in the context of a non-compete. In order to effectuate such an order, however, Sound Point would need to post a bond to secure Haque's interests in recovery should he ultimately prevail at the conclusion of the case. "[I]n lieu of an undertaking, defendant Sound Point Capital Management LP is directed to pay plaintiff's salary for the 90-day non-compete period (with the parties to modify the amount of compensation consistent with the plaintiff's last paycheck)." In my view, this was an absolutely brilliant move - and likely lays strong groundwork the parties to reach an amicable resolution that is fair to all sides. Post a Comment to "Judge Crafts Creative Solution In Issuing TRO on Non-Compete"